At The Brainchild Centre, by individual families. Multi-disciplinary assessment is available. 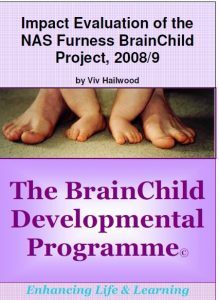 At The Brainchild Centre or another location in a small group organised by an organisation (for example, an NAS local group, a Parent group) There are several options for the way in which this course is organised. Contact us to discuss the options. In both cases your child is individually assessed and has regular appointments to attend. An important part of the sessions is training you, the parent(s) to play the home-games with your child. Both options are lots of fun. However there are more opportunities for the children to develop social skills in the group sessions. Parents also value the support they gain from each other. NAS groups have found group participation valuable. In both cases the parental practice at home is an important aspect. Individual initial assessment & discussion with parent(s), consultation time: 3 hour appointment. A detailed case history is taken. Starter activities are provided at this session. Written short report (optional) at additional cost - This explains your child’s developmental reflex integration profile and how this relates to his/her challenges. It makes recommendations for management at school and home. Program of daily activities to follow at home. The number of sessions required will vary with each client. For many, 5 sessions is sufficient. Some may need more than 5 sessions. Additional sessions can be paid for separately. Individual re-assessment, discussion and review, 60 minute appointment. Please contact us if you wish to register your child. Multi-disciplinary assessment is available where indicated. This can involve all, or some of the following assessments: Neuro-developmental, Speech and Language, Physiotherapy, Cranio-sacral Osteopathy and Behavioural Optometry. Often families prefer to combine a holiday with The BrainChild Program and enjoy the beauty of the scenery of The Lake District or The Yorkshire Dales each time they visit. We can provide details of local accommodation . 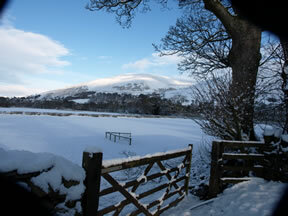 We are located in Sedbergh, Cumbria, LA10 5JS. Please contact us for details. A snowy view from the Brainchild Centre. Organised groups can often apply for grant funding to subsidise the Brainchild Program. Working with families in a group also adds a social dimension to the program. The value of this is clearly obvious as families progress through the sessions. Children with diagnoses of ASD particularly benefit from this, as we work through the activities that can help them to improve social language and social interaction. over a five month period. Individual initial assessment & discussion with parent(s), consultation time: 2 hour appointment. A detailed case history is taken. Program development relating directly to the assessment results of the individuals in the group. A 2 hour meeting in which you will be guided to complete an observed behaviours record about all aspects of your child and learn about the session procedures. Individual re-assessment, discussion and review, 2 hour appointment.